The manufacture and use of almost every consumer and industrial product rely on application of advanced knowledge in surface science and tribology. These two disciplines are of critical importance in major economic sectors, such as mining, agriculture, manufacturing (including metals, plastics, wood, computers, MEMS, NEMS, appliances), construction, transportation, and medical instruments, transplants, and diagnostic devices. An up-to-date reference with contributions by experts in surface science and tribology, Surfactants in Tribology, Volume 3 discusses some of the underlying tribological and surface science issues relevant to many situations in diverse industries. The tradition of presenting new developments and research that began with the first volume in this groundbreaking series continues in the third volume. 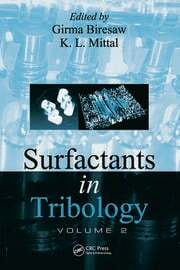 Comprising 19 chapters on various aspects of surfactants in tribology—including subjects not covered in previous volumes—this book is presented in four parts: Nanotribology and Polymeric Systems, Biobased and Environmentally Friendly Lubricants and Additives, Tribological Properties of Aqueous and Nonaqueous Systems, and Advanced Tribological Concepts. Topics include tribological properties of nanoparticles, biopolymer friction, environmentally friendly surface-active agents, biolubricants, aqueous mixed surfactant systems, and surfactants in motor oil, drilling fluids, and in electrowetting for MEMS and NEMS. 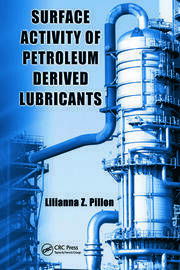 The information in this volume provides a cutting-edge reference connecting the fields of surfactants and tribology as a way forward to novel, enhanced methods of controlling lubrication, friction, and wear. 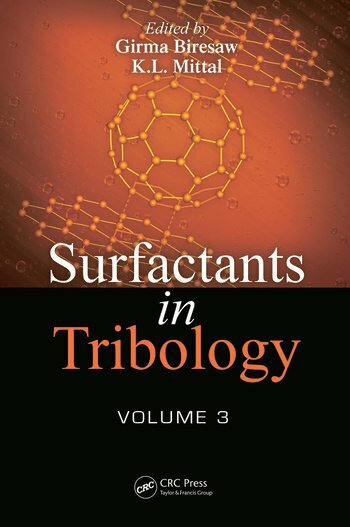 Written by a global team of established authorities, this book reflects the latest developments, highlighting the relevance of surfactants in tribological phenomena in a broad range of industries. It provides a valuable resource for readers working in or entering the fields of tribology and surface science. Girma Biresaw received a Ph.D. in physical-organic chemistry from the University of California, Davis. He is currently at the Agricultural Research Service (ARS) of the U.S. Department of Agriculture in Peoria, Illinois, where he conducts research in tribology, adhesion, and surface/colloid science in support of programs aimed at developing biobased products from farm-based raw materials. Dr. Biresaw has received more than 150 national and international invitations including requests to participate in and/or conduct training, workshops, advisory, and consulting activities. He is a member of the editorial board of the Journal of Biobased Materials and Bioenergy and has authored/coauthored more than 235 invited and contributed scientific publications, including more than 65 peer-reviewed articles, 6 patents, 4 edited books, more than 35 proceedings and book chapters, and more than 125 scientific abstracts. Kashmiri Lal Mittal received a Ph.D. from the University of Southern California. He is currently teaching and consulting worldwide in the areas of adhesion and surface cleaning. Dr. Mittal is the editor of 106 published books, as well as others that are in the process of publication, within the realms of surface and colloid science and of adhesion. He has received many awards and honors and is listed in many biographical reference works. He was a founding editor of the Journal of Adhesion Science and Technology and was its editor-in-chief until April 2012. In 2002, Dr. Mittal was honored by the global surfactant community, which instituted the Kash Mittal Award in the surfactant field in his honor. In 2003, he was honored by the Maria Curie-Sklodowska University, Lublin, Poland, which awarded him the title of doctor honoris causa. More recently, he has started the new journal titled Reviews of Adhesion and Adhesives.